I read this article and found it very interesting, thought it might be something for you. The article is called 10 Ways to Manage Tantrums After Loss and is located at http://modernloss.com/10-ways-to-manage-tantrums-after-a-loss/. As an early childhood psychologist, one of the most common questions I get from parents is how to talk to young children about death. I always recommend various books that can help (like this one), as well as some very good articles on the subject (like this one, on this very site). Yes, really. Because when we look at the tantrums that occur after a loss, it’s important to take a broader perspective. It’s not really about the Oreo. (Okay, maybe it’s a little about the Oreo. They’re delicious.) A tantrum can be defined as a behavioral response to not knowing how to manage or express an overwhelming emotional experience. Which means that, following a loss that significantly affects your family – no doubt an overwhelming emotional experience for everyone – your child’s tantrums may increase in frequency, duration, and/or intensity. Of course, this coincides exactly with your extremely compromised ability to handle them. So what can you do? 1. Call in supports. Trite as the phrase has become, you need to put your own oxygen mask on before you can take good care of your little ones. 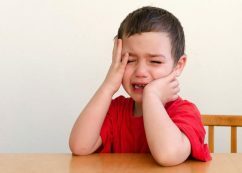 If you are going to burst into messy, snotty tears at the mere hint of a tantrum, then it’s in neither your nor your child’s best interest for you to be the one on full-time child duty. Sometimes you don’t have a choice, but if you have any relatives, friends, or neighbors that have offered to help, then now is the time to cash in those offers. Spend a bit of quality, loving time with your child each day, but otherwise don’t fear “out-sourcing” parenting temporarily. Particularly in the context of loss and grieving, it really does take a village. 2. Be honest (in a developmentally appropriate way). It’s tempting to want to shield our children from our grief, and sometimes this is appropriate; if we full-on lose it in their presence, we may inadvertently scare them. [Note: this may happen, despite your best efforts, and that’s OK.] But our children know when we are sad, or mad, or deeply missing someone we love. When we claim we’re not crying when we are, they see through us. And so they come to three possible conclusions: 1) I can’t trust my parent because she doesn’t tell the truth; 2) I must have done something to make my parent sad (i.e., this is my fault); 3) Crying is dangerous and not permitted. Any one of these thoughts is enough to make a young child anxious and overwhelmed, and overwhelm = tantrums. 3. Keep in mind that the cause your child’s tantrum may not be immediate. Remember that time you ran out of toothpaste, and you started weeping because life is so hard and teeth are so high-maintenance and why would anyone ever expect that you’d be able to remember to buy toothpaste in the first place? Was it really about the toothpaste? Exactly. So don’t spend too much time agonizing about whether to give your child another Oreo, or let him watch another show, or get another story at bedtime. Instead, take time – of course, not during the tantrum itself – to talk about the loss your family has experienced. 4. Create a Narrative. Young children get overwhelmed when they can’t make sense of events. When someone dies, it can seem to them that everything is haphazard: “suddenly this person isn’t around anymore, and everyone’s crying, and I’m not going to preschool, and Grandma’s here, and Mommy is yelling a lot, and nothing feels normal.” They don’t have a clear grasp of time and space, and so need help putting events in order and understanding how they’re connected. For example: “Last week, Uncle Greg died. His body stopped working. Daddy got a phone call about it and started to cry. And you saw Daddy crying loudly; that felt scary because you didn’t know what was going on. Then we told you about Uncle Jeff. The next day you stayed home from preschool, and Grandma came over to take you to the playground. Then the next day. . . .” You’ll likely have to tell this story repeatedly, even make a book about it. The more you do, though, the less likely your child will be to feel overwhelmed. 5. Keep familiar rituals and routines in place. In the midst of the emotional (and sometimes logistical) chaos of grief, familiar routines are extremely comforting to children, and help them feel safe and contained. “Mommy may be teary all the time, but I still have Oat Squares with strawberries for breakfast, so I don’t feel completely without an anchor.” The more you can adhere to the familiar, the less overwhelmed your child will likely feel. See #5 for a caveat. 6. Re: #4 above: Cut yourself a break. Truly. If your toddler goes to bed at 11 p.m. four nights in a row, or eats pizza for dinner every night for a week, he is going to be OK. I promise. If you’re having the thought – and grieving parents often are – that you’re ruining his life by being such a basket case all the time, please, please thank that thought for sharing and send it on its way. Rather than resorting to late bedtime and take-out food from a place of desperation or anxiety, give yourself permission to choose those things intentionally. Your child will respond much better if you declare it to be “Pizza for Dinner Week” on the front end, than if you set out to make a nice dinner every night only to give up and call for pizza in tears for the 6th night in a row. 7. Screen time is your friend. You know how people say not to use the iPad or TV as a babysitter? Not really true after a significant loss. During this time of grieving, hire your babysitter, iPad, to work overtime. “What if my kids get used to having so much screen time?” Parents often ask me. The answer? Then they get used to having so much screen time. Which means they can get un-used to it as soon as the time is right. It’s a temporary survival technique, not a life sentence. Don’t avoid screen time today, when you really could use it, because you fear not being able to break your children of the habit in the future. You will be able to break them of it. I promise. 9. Tell your children that grown-ups are helping you feel better. It’s OK for your little ones to see you sad, but they also need to know that you are getting the help you need to feel better – not from them, but from grown-ups, whether that’s your partner, your best friend, your own parent(s), and/or your therapist. And then it’s important that you actually do that. Because, harking back to #1, if ever there were a time to rely on other grown-ups, it’s now. 10. Seek professional guidance and support. 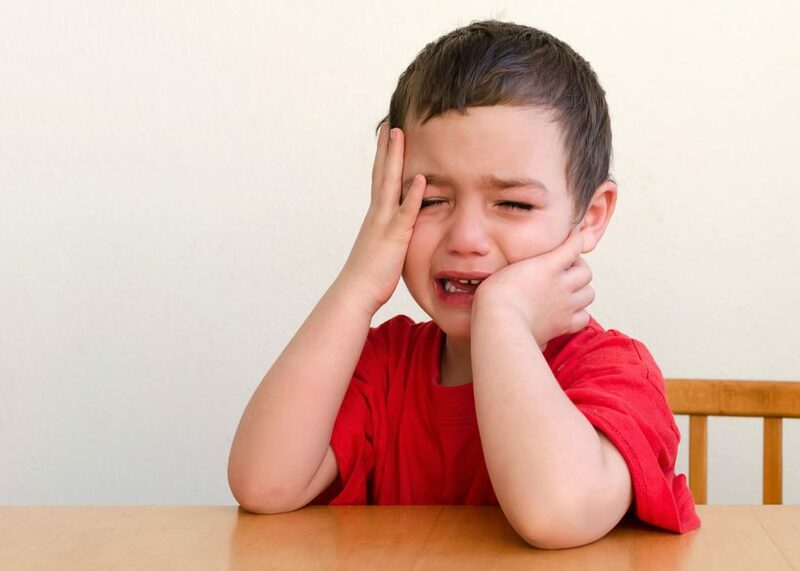 If your child’s tantrums continue to become more frequent, longer, and/or more intense, it may be that you need to reach out to a professional for help. Look for sleep and appetite changes/disturbances, and talk to other caregivers (babysitters, teachers), as your own judgment may be somewhat impaired during this time. Division 53 of the American Psychological Association, the Society of Clinical Child and Adolescent Psychology, offers a directory of child therapists in the United States and Canada who practice using evidence-based treatments and techniques. Also through the Society of Clinical Child and Adolescent Psychology, this website provides information about a range of evidence-based child therapy approaches for children, as well as tips for choosing a therapist. 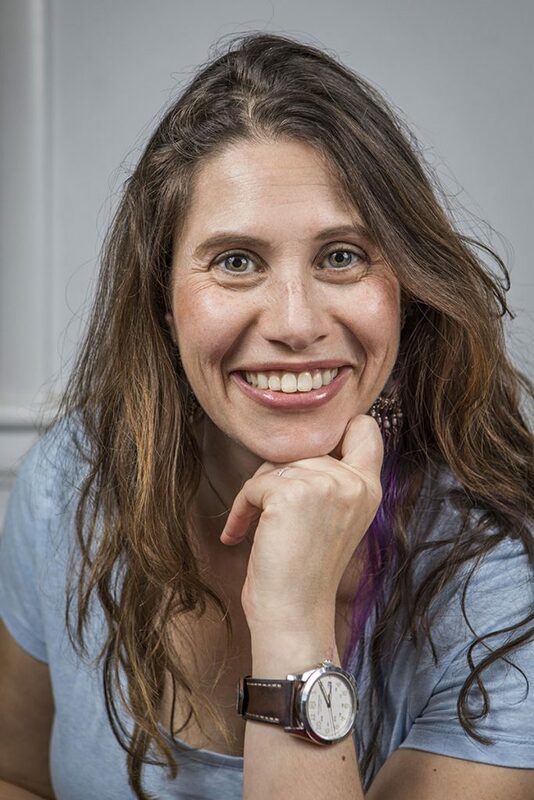 Rebecca Schrag Hershberg, PhD, is a clinical psychologist and founder of Little House Calls, which specializes in helping kids and parents confronting a range of common early childhood challenges. 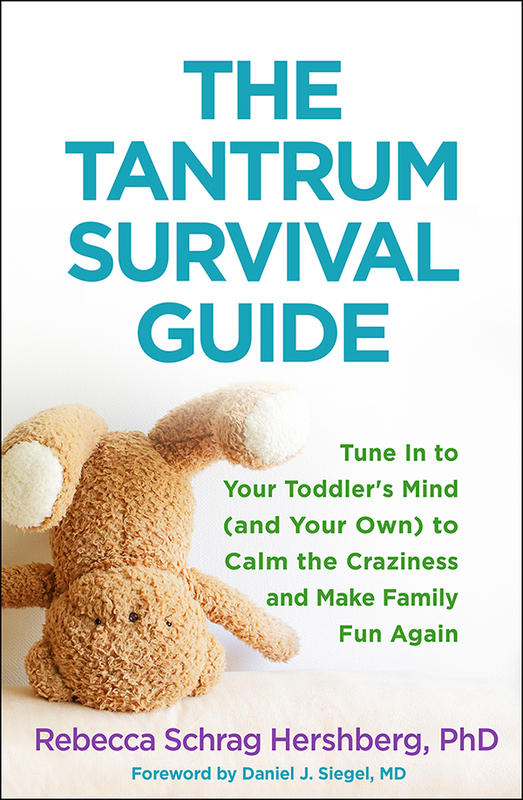 She lives in the New York City area with her husband and two young sons, and is the author of The Tantrum Survival Guide: Tune In to Your Toddler’s Mind (and Your Own) to Calm the Craziness and Make Family Fun Again .